My new Dancehall pedestal desk! 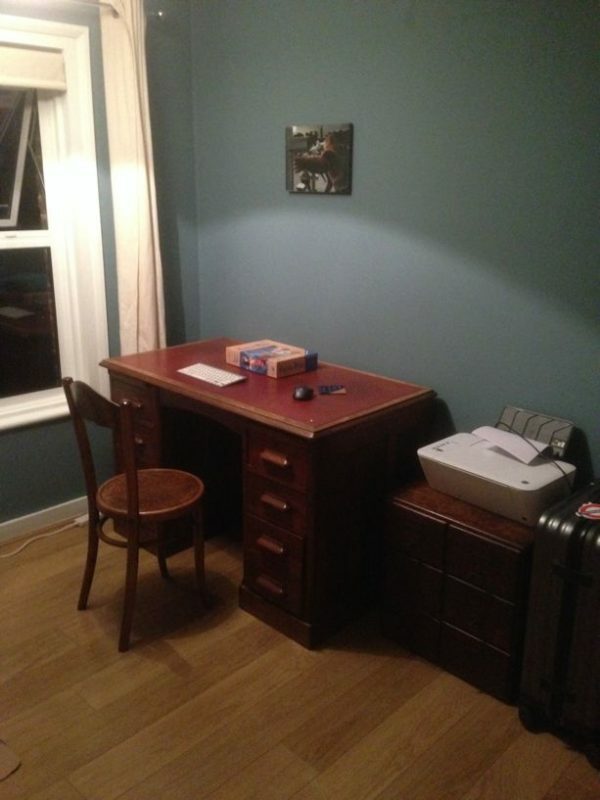 Last weekend we finally got around to painting the study- the color is called Dancehall. 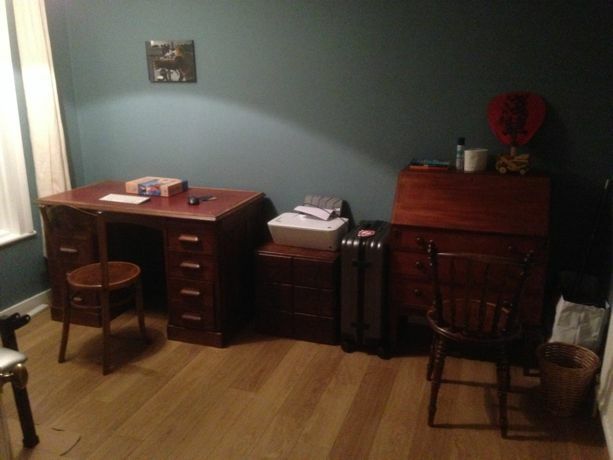 The pedestal desk and old filing cabinet thing were antiques bought online, while the desk at right was the one I had as a kid, which SY uses now. Originally I believe it belonged to my Dad. 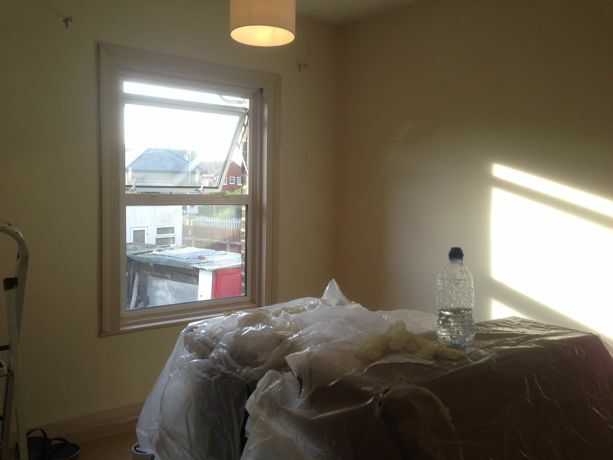 The room prior to painting. Post painting. Yes, that is Canadian Mike’s painting of Killin Jack above the desk. Pedestal at left, my old desk at right. Right now there are fireworks popping somewhere off to the left through the window, 9pm. It is after all Bonfire Night. I find these kinds of events can just pass me by completely if I’m not wary. No one mentioned it today at work. There was nothing about it on the BBC. When we were kids on Shorefield Mount in Bolton, building up the bonfire, and going round begging for wood, was the excited work of months leading up to the actual night. Now I don’t even know it’s coming. The wrestling match with Cerulean’s story is ongoing. I feel today like I’m on top, after 2,000 words erased and a fresh 3,000 put in their place. The battle is epic and legendary. The word count stands at 45,000- and plot arc-wise it’s at almost the same point I was up to with both The Last and The Lost, so that bodes well.